Manila, Philippines - Bamboo Mañalac's young artist Juan Karlos Labajo sings English version of "Quién será? ", "Sway" during the live semi- finals of Twitter-trending 'The Voice Kids' Philippines on Saturday, July 19, 2014 at the Newport Performing Arts, Theater, Resorts World Manila, Newport City, Pasay City. 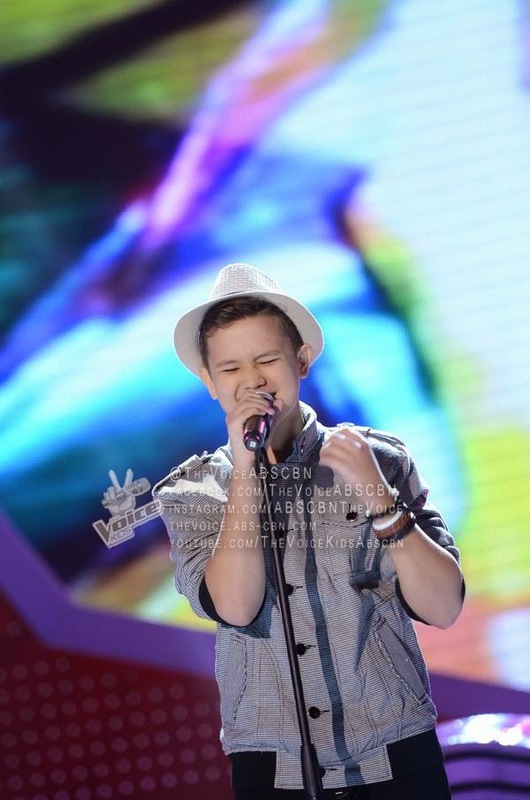 Juan Karlos, 13-year old kid from Cebu City is among the Final 2 artists of Team Bamboo. "Napaka-charming mong bata ka. Napakalaki ng improvement mo, you listened carefully to your coach at inapply mo tonight mga natutunan mo sa kanya," Coach Sarah said to Juan Karlos. Aside from Juan Karlos, fighting for a slot in the finale are Team Lea’s Darlene Vibares and Tonton Cabiles, Team Bamboo’s Edray Teodoro, and Team Sarah’s Lyca Gairanod and Darren Espanto. Text VOICE JK and send to 2331 for ABS-CBN Mobile, Globe, TM and Sun Cellular subscribers and 231 for Smart and Talk 'N Text subscribers. The tariff is P1.00/vote for ABS-CBN Mobile, P2.50/vote for Globe, TM, Smart and Talk 'N text and P2.00/vote for Sun Cellular subscribers.